When they aren’t in class at Duquesne, The Semi-Supervillains are playing shows around Pittsburgh and abroad. The band recently released a new EP and played six showcase performances at this year’s SXSW in Austin, Texas. Of the dozens of bands that have formed in the dorms of Duquesne, not many can say they’ve had success quite like The Semi-Supervillains. Nor can they say they’ve partied with Wyclef Jean in a gated mansion on the Colorado River in Austin, rocked SXSW without a record label or had their songs played on Pittsburgh Pirates telecasts. But if anyone knows how to navigate the glum prospects of the indie music industry, it’s Vinnie Longhi, sixth-year Duquesne pharmacy major by day and Semi-Supervillains frontman by night. It’s worked so far for the Semi-Supervillains. The balance between music and school is something they’ve all had to deal with; keyboard player Forrest Mance is one of Longhi’s pharmacy classmates, bassist John Pennacchio is a second-year med student at West Virginia University, drummer Cory Caruso graduated in 2014 from Duquesne and guitarist Nick Longhi is at WVU for biology. As a band, they’ve released two full length EPs, “Tricks” in 2013 and “Here Comes Trouble” in 2015, as well as a collection of acoustic renditions, “Southwest,” that was unveiled last Friday. They’ve toured regionally and internationally, including stops in Toronto, Ottawa and Montreal. And they’ve racked up quite a few accolades, winning the 2014 PennRock Scholarship, 2014 Weirton Band Blast and a chance to play live on 102.5 WDVE Coffeehouse with Randy Baumann. 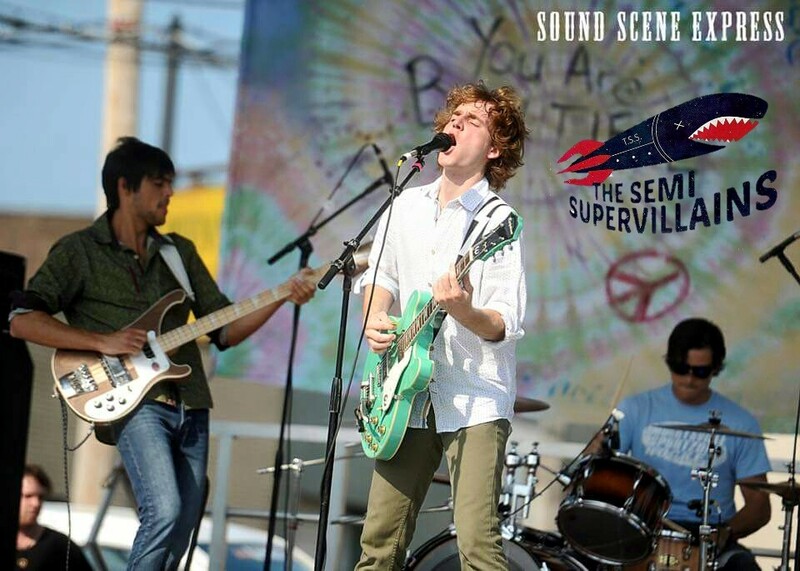 But nothing was as rewarding to the band as the opportunity to head down to Texas for SXSW, a weeklong festival of music, film, interactive media and innovation conferences. The band brought its high energy, new wave garage rock style to six different showcases around Austin, including Jam in the Van at the GQ Magazine Artist House. The Semi-Supervillains are currently shopping record labels and plugging their new EP. “Southwest,” a stripped-down compilation of their songs that was recorded by Longhi and Mance in Georgetown, Texas, is an attempt to show the band’s versatility. “Southwest” is available for download on the band’s Bandcamp website. They are playing at Arsenal Lanes in Lawrenceville on May 4 and the Rex Theater in South Side on May 7.